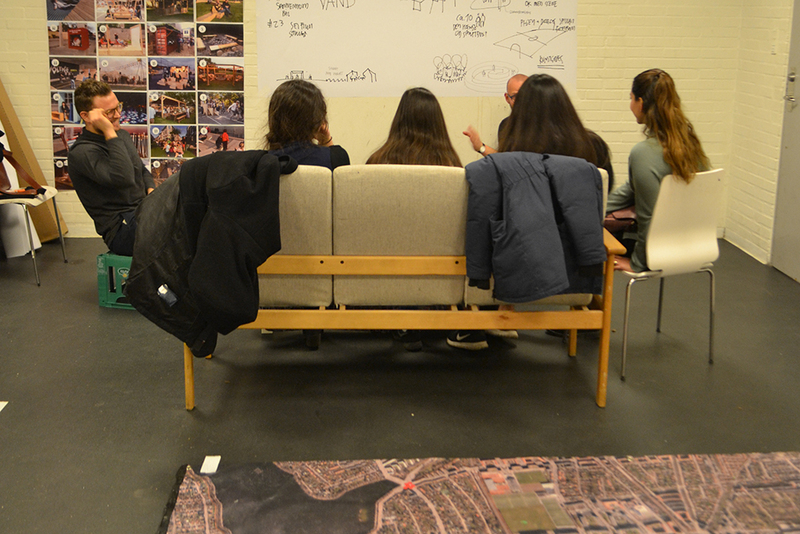 In the fall 2016 we´ve been lucky to be facilitators for the youth in Kulbanekvarteret, Copenhagen. Its one of the last unplanned areas in Copenhagen and in the the next five-year period the Urban renewal will work with physical, social and cultural initiatives. The area has a high percentage of people without education and 40 procent larger council housing sector than the rest of Copenhagen. The Urban Renewal project had a huge focus on engaging youth and aimed to activate schools and youth clubs in the future development of the area. The new heart of the area will be the future park and the Urban renewal and local political council wanted to get inputs from the young people in the neigboorhood. 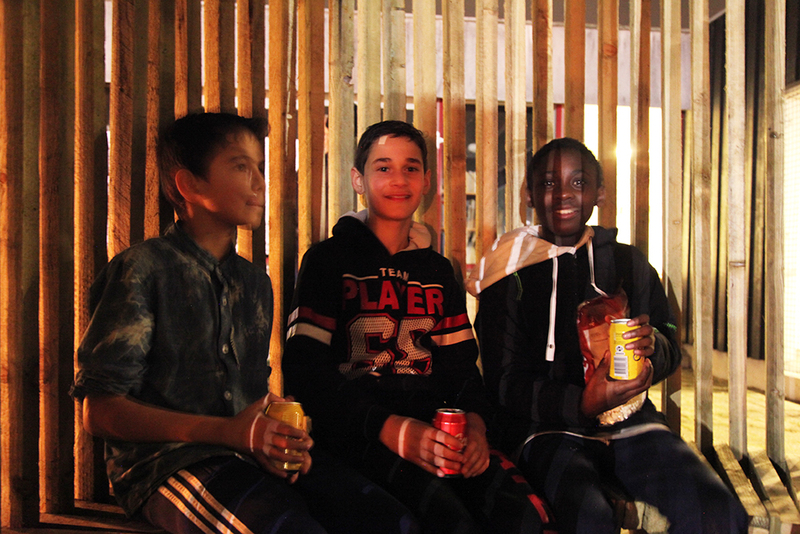 How do get young people interested in their local community? And how do you create a common language about the surroundings? The purpose of the project was to engage the users of the local youth club and get insights into their ideas and dreams for the future. 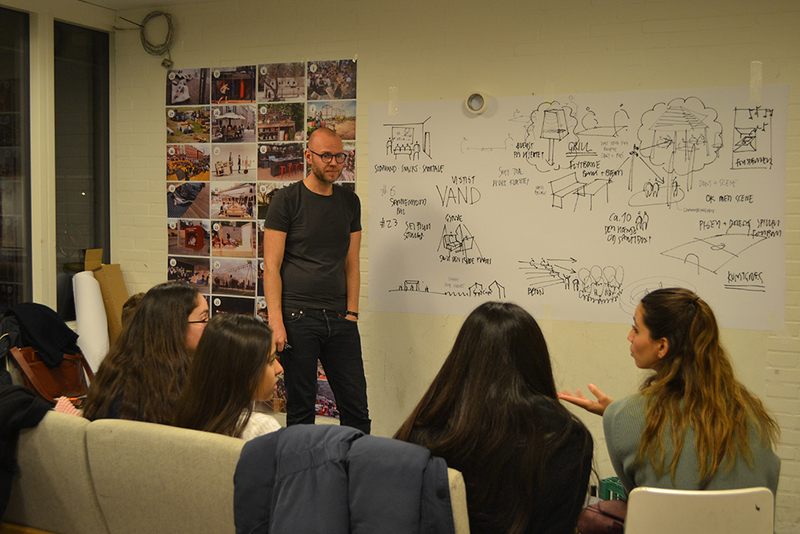 The process was kickstarted with a study trip to urban spaces in Copenhagen to give the young people inspiration. 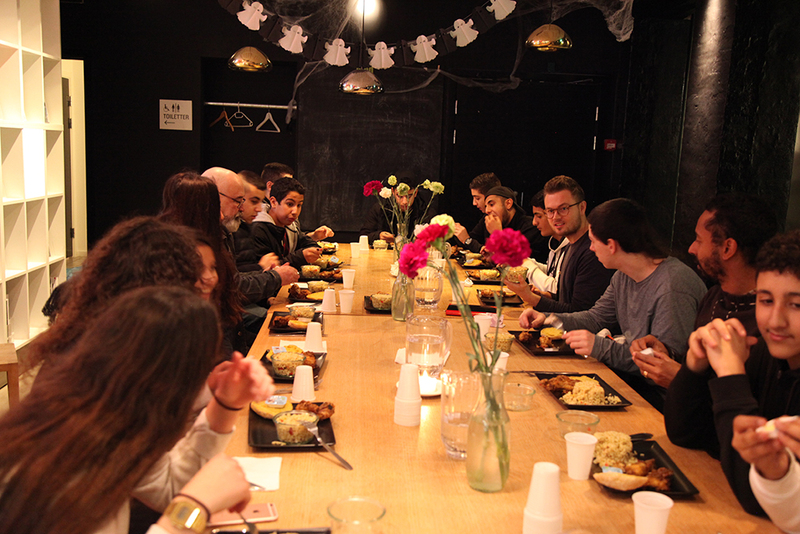 After that we hosted different workshops at the youth club, where we created a intimate and personal space for them to share their opinions and wishes. We designed the room as a dynamic cinema, where we drew their wishes on the wall. 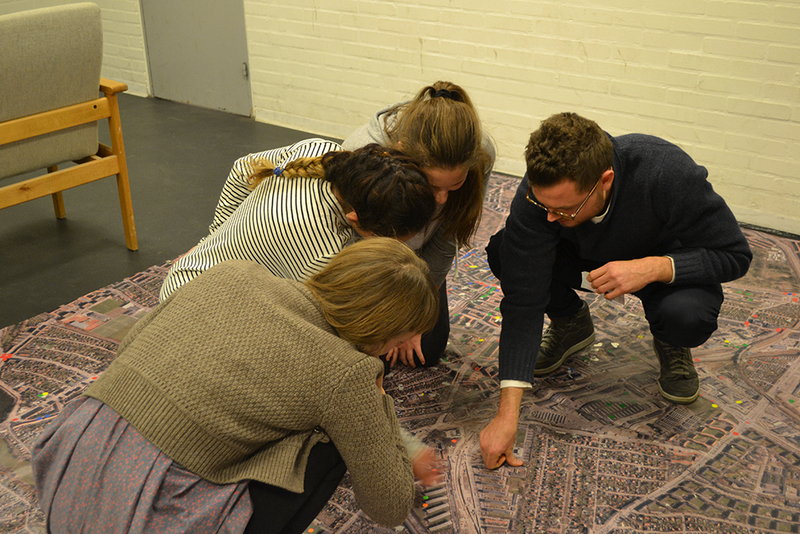 Also a big map of the local area was put on the ground, so they could map their movements and behaviors. 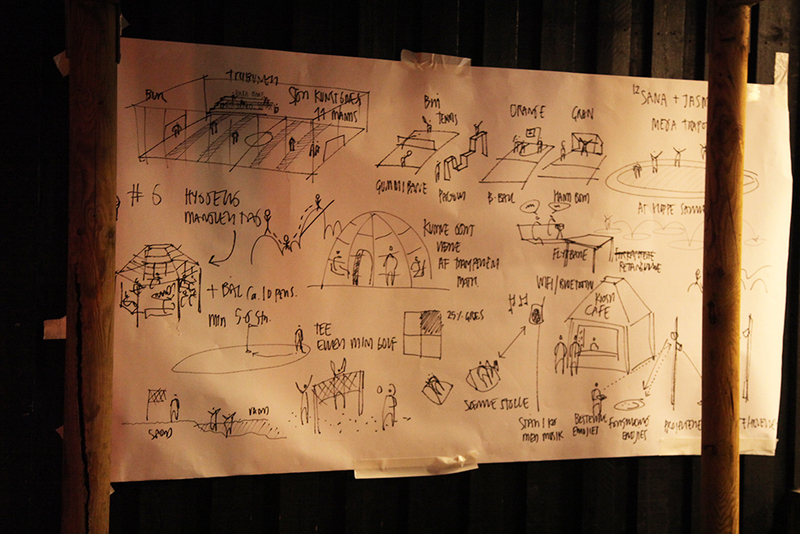 We got a lot of inputs from the different sessions and from that we build a temporary installations at the youth club, which reflected some of the main ideas. 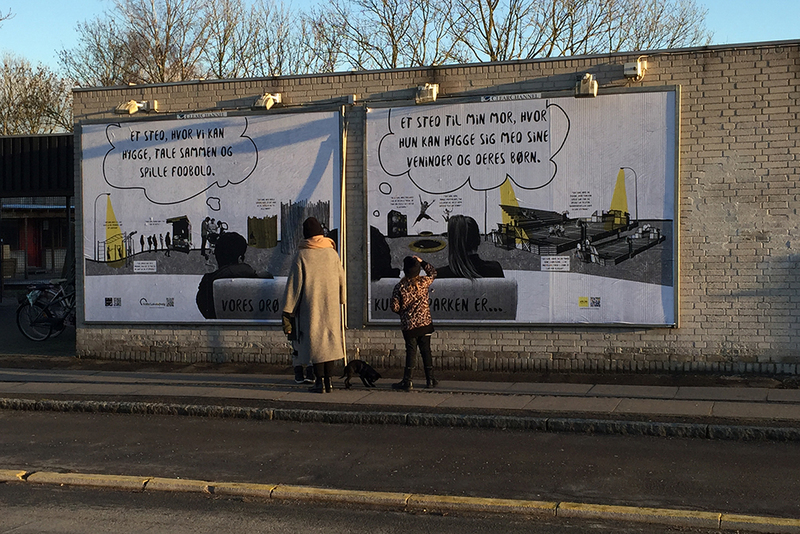 The project culminated with an exhibition of the process, where the visitors could experience the installation and a big billboard outside of the youthclub, that was designed with all the great ideas for the future park. Wanna know more? Watch our movie about the process underneath.